While Felicia Day might not consider herself a media mogul — modestly proclaiming that “business is … not my main talent” — she has been at the forefront of exploring economic models for online content. Day filled her free time with the online role-playing game “World of Warcraft,” which soon became an all-consuming passion — “from morning to night” for two years. In November 2007, she quit the game “cold turkey” in order to write what would become “The Guild,” her web series about the social lives of online gamers. The writing process, she noted, was difficult and “extremely scary,” but in October 2006, she hit a turning point: “I woke up in a sweat in the middle of the night, and I said, ‘If you don’t do this by the end of the year … you’re a failure, and you’re never going to be anything. '” She completed the draft of “The Guild” on December 31 of that year. At the suggestion of her friend and co-producer Kim Evey, Day decided to produce the work herself and post it online. With just enough money to create the first two episodes, Day self-funded the project and uploaded the video to YouTube, then “sat at the computer and emailed everyone I knew for two months.” Eventually, “it started to snowball” — particularly when the show was featured on the front page of YouTube. Hollywood again beckoned, but potential distributors wanted to pay her a flat fee to own the content. Day didn’t want to give up the rights to the characters and decided to continue on her own. While the concept of crowdfunding was fairly new, Day put a PayPal button on “The Guild” website and quickly received enough money to shoot a third episode. Eventually she and her colleagues generated sufficient funds to shoot one episode a month to complete the 10 episodes of the series’ first season. Microsoft’s Xbox division then offered to fund development of new episodes. The deal was “a dream come true” for Day, allowing her to improve the show’s production values and also retain ownership of the content. While released first on Xbox’s new Independent Video channel, Day also posted the episodes to YouTube and, later, to Hulu, Netflix, iTunes and Amazon.com. She also created and sold a DVD of the show and developed a comic book series around the characters for Dark Horse Comics. After producing her own content for a couple of years, her acting career started to take off. As she put it: “Because I decided to leave Hollywood behind, Hollywood kind of came to me.” Day subsequently starred in Joss Whedon’s online musical, “Dr. Horrible’s Sing-Along Blog,” and landed recurring roles in the CW television show “Supernatural” and the SyFy series “Eureka.” In 2011, Day wrote and starred in the web series “Dragon Age: Redemption,” based on the BioWare video game series. As she completed the final season of “The Guild,” Day began searching for ways to establish an ongoing connection with her fans. In 2011, Google’s Youtube came calling. The online video giant was looking to support the development of more professionally produced (and more advertiser-friendly) content than the videos that typically populate the site. Day launched the “Geek and Sundry” YouTube partner channel to be “an evergreen place to create community around videos.” Since launching in April 2012, “Geek and Sundry” has produced 750 videos. Following her talk at the Wharton Web Conference, Day sat down with Knowledge@Wharton to further discuss her approach to creating and monetizing web content, why social media isn’t as useful as it once was, and how she balances business and creativity in her work. An edited version of the conversation follows. Knowledge@Wharton: In your talk, you emphasized that in your distribution partnerships — with Microsoft for “The Guild” and YouTube for “Geek and Sundry” — you still own the content. Why is that important? 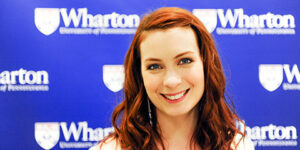 Felicia Day: There are so many different ways to exploit content in all these new avenues for video. I want to be the driving force behind that exploitation. I feel like I’ve been on the ground floor for years. “The Guild” helped define a lot of the distribution patterns. Owning my content is not the only thing that I will ever do, [but] until I meet a partner who has a track record of exploiting [the content] in a much better way than I do, I would rather play it safe. Creative property is all about IP [intellectual property]. When you’re creating worldscapes with scripted content, or even non-scripted content, the potential revenue is extremely high if you’re able to take it to another platform, like TV or movies. To not be in control of that is not as good a business decision. As more traditional distributors fund web series, I don’t think that this model is going to be universal. In fact, I think it’s going to be very hard to maintain. But up until now, working with tech companies — their willingness to not control [the content] because they’re not in the business of exploiting it — has definitely been to the advantage of the creators. Knowledge@Wharton: Partnering with technology companies rather than Hollywood studios has made these deals easier to negotiate? Day: Yes, because technology companies aren’t going to take a piece of content and distribute it [through] foreign sales or turn it into a TV show. They’re not interested in that business model. They’re going to leave it to the content creators to do that. Knowledge@Wharton: “The Guild” wrapped at the end of season six. Since you own the characters, might we see that story continue as a television series or in some other format? Day: I’ve explored the avenues for “The Guild,” but the mainstream view seems to be that gamers don’t watch TV. I own the show. I could open it up at any point. I would never want to do it unless I had a great story to tell. Season six came to an end because I had told the stories I needed. The characters had come full circle. But, at the same time, the characters exist. I am definitely not ruling it out. As far as “Geek and Sundry,” we’re definitely exploring options for a few of the shows. We always have our eye on: Is this something that could be taken to another platform? Because that’s where, obviously, the business end will be most lucrative and make a bigger impact. Knowledge@Wharton: Web series — even those with large audiences — don’t generate the revenue that TV series do. Why is the money still in television? Day: The money’s still in television because it’s a huge industry of millions and millions of [viewers] with billions of dollars. It’s self-perpetuating. It mainly stems from advertisers. [Web-based] content is not necessarily advertiser-friendly. Young people are driving the views online. They’re watching things they can’t see on TV — things they want to hide from their parents on their phone — like watching game play-throughs or something with profanity or racy subject matter. That’s what drives those mass audiences online. The things I make are more niche content with a smaller audience, but a more loyal audience — a more reachable and targeted audience. It’s a question of how fast advertisers get comfortable with advertising to a smaller audience — but with bigger impact — or being comfortable with advertising [on] something that is not as family friendly. Knowledge@Wharton: Yet, with online content, advertisers can get more detailed audience data than they can with television. Day: Absolutely. You can identify exactly the demographic of every one of my shows, and what nation they’re coming from, on a minute-by-minute basis. This is an international platform. You might not reach two or three million people [the way you would] with a 30-second [television] ad. But what percentage of people [watching television] are fast forwarding? What percentage don’t play games? It might be more beneficial to advertise against a show that does 500,000 views, but a larger percentage of that audience will be motivated to interact with your product. That’s the tipping point we haven’t quite reached. Advertisers are still not comfortable with the Wild West atmosphere [of the web] because they don’t feel like their brand will be protected — understandably, because there could be something that’s too racy for them. They don’t necessarily have approval over every single piece of content that they advertise against. Knowledge@Wharton: Isn’t that what’s driving YouTube’s investment into channels like “Geek and Sundry” that provide known content for advertisers? Day: Yes, absolutely. But the numbers that are significant to an advertiser are in the millions, because that’s what they traditionally associate with content. If they’re looking for four million people, they’re not going to get it on my show. But they’re going to get a half a million very, very loyal viewers. Advertisers are not seeing the returns they are used to on mainstream television, especially at the millions and millions of dollars that they have to spend to get on the platform. That’s where the disconnect is. Knowledge@Wharton: How long do you think until this will equalize and people will be able to make TV-level revenues from web content? Day: Look at “House of Cards.” [Netflix] and Amazon are investing TV dollars [in online content]. The tipping point at which more casual, low budget entertainment makes those kind of dollars — I’m not sure. Advertising online is not getting smaller. It continues to grow. In the next couple of years, I think we’re going to see a seismic shift. It’s going to be interesting how platforms try to adapt their product to be more advertiser friendly. That’s what YouTube struggles with — and why they invest in the channels. I think it was a very smart move, because as you turn to a smart TV, you’re not going to just have a million vlogs [video-based blogs] flying around. You’re going to focus around channels. That’s what YouTube’s move was — to create channels on their platform akin to channels on a cable box. Knowledge@Wharton: You’ve created content for the web, and you’ve worked on television. How are those platforms different? Day: Well, you’re talking $3 million an hour [for television] versus $30,000 an hour — or $3,000 an hour [for the web]. [Laughs.] There’s just no comparison. [Creating content for the web] is definitely a start-up business. Everything is bare bones. In fact, because of the glut of content the last couple of years, budgets [for web content] are expected to go down. There are starting to be two tiers. There is the high-budget “House of Cards” TV-level [shows]. Then you have the very low budget [material]. 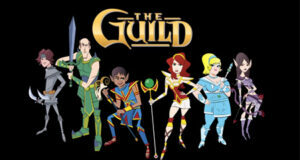 Middle-class web series like “The Guild” have disappeared in this new seismic shift. I think they’re going to re-emerge, but right now the budgets are actually lower for the kind of content that I make on “Geek and Sundry” — which just means adapting the show to be more scalable at that budget level. With [the web series] “Dragon Age,” I was very ambitious with the budget. We could definitely have used a lot more money to make the script a hundred percent of what it was on the page. But it was still a huge hit online. As I went into “Geek and Sundry,” I made sure to scale every show so it wasn’t a struggle. You can do one “Dragon Age” but you can’t do 12 in a row. You can’t call in all these favors. There’s only one favor each time. Knowledge@Wharton: “Geek and Sundry” has included ongoing series along with shows that had only a brief run. Is this because you’re able to use the channel as an experimental platform to try different things, in a way that you couldn’t on television? Day: Absolutely. We definitely wanted to pilot things. We tried a couple of shows that I believed in a lot, but the audience just wasn’t there. The expectation for a native YouTube user is constant, constant content. [The YouTube audience] isn’t as event driven; they’re comfort driven. It’s the equivalent of a morning show. “Geek and Sundry” has many shows, but the traditional YouTube model is having one show per channel. That’s something that we’ve constantly had to educate our audience about. As YouTube moves more toward supporting channels, I think audiences will get used to it. I created an infrastructure that’s constant so that the native YouTube user will want to come back every day or week. But then we’re focusing around event shows so that for a set six weeks or eight weeks you know there’s a beginning, middle and an end to a scripted show. We’re looking at how our audience uses the platform and trying to create a middle ground that will really work. Knowledge@Wharton: Have there been surprises from the shows that you’ve done — things you didn’t think would work that became hits, or things you thought would be great but didn’t find an audience? Day: Yes, there are a lot of examples of that. I did a weekly show the first year called “The Flog.” I put three days of production into every single episode — and that was a weekly show. I did 50 episodes. It burned me out because … it was too ambitious for the budget. One of the segments was playing games with my brother. Those were the most popular, and they were the least amount of effort. That’s the irony with the YouTube environment. Sometimes it will surprise you — the thing you put the least effort into will be the most popular, and the thing you put all your effort into will not be popular. But I think it’s a mistake to let the platform train you to make content only for that platform. That’s not the business I want to be in. I want to make TV-like things. We might not get four million hits on every single episode, but we’re making something that can continue into a movie or TV [show]. We’re investing in worldscapes. Most content on YouTube that’s super popular is more topical — it’s news; it’s gossip. I don’t necessarily want to make the topical flash-in-the-pan junk food YouTube content. That’s another business model that other people are doing really well. That’s not what “Geek and Sundry” is. “Geek and Sundry” is high production value and very thoughtful and creative, even for the lower budget shows that we make. You can’t do everything. Unless you have a huge infrastructure, you can’t satisfy all tiers of the consumer. Knowledge@Wharton: One of the criticisms of the YouTube model is that they don’t give you a lot of marketing help, and they own your audience, not you. Is this a concern? Day: I’m more focused on the creative [side of the business]. I have a partner who focuses on the business. But, yes, it’s always a consideration. I like to do fewer things better. That’s my philosophy — fewer things, more effort into each one of those things. That’s how “The Guild” started, and that’s where we’re headed with “Geek and Sundry,” although the volume is obviously much higher than doing one show a year. The revolution is here. People are on their iPads and [using] Chromecast, the Google dongle where you can just swipe [web video] up to your TV. Because people do like their TVs. And if they can watch what they love by connecting their small device to their big device, it is going to revolutionize the way people [view content], especially as we move to where more and more people are distributing outside of cable and the traditional network model. To me, having a channel and a central hub of “Geek and Sundry” as a YouTube arm of my company is always going to be very, very important, because YouTube is going to have more power to feature that versus me being one of millions of web sites. Knowledge@Wharton: YouTube has introduced paid subscription channels. Is that something you might do? Day: It’s really interesting. I think the web is made for audience impulse. When you start putting up road blocks between them and the content, they have millions of other things to click on. Everything I’ve made has been based on free audience access. I would like to continue doing that. Were I to have a specific project — say, a movie or a special web series that had a beginning, middle and end — there would be incentive there to say, “Hey, come enjoy this one piece of content or these eight weeks of content. You get exclusive access to it.” That seems to be more instinctive for audiences than having yet another running bill in the background — three dollars here, one dollar here. It definitely adds up. Then why not just have a cable box at that point? Knowledge@Wharton: You are known for your social media presence. In your talk, you mentioned that those platforms don’t have the impact they did a year or so ago. Why is that? Day: There’s definitely a perception that the numbers in social media versus the actuality of social media is the dirty secret of social media. Yes, Ashton Kutcher might have — what? — eight million Twitter followers or something like that, but if you actually analyze the metrics of interaction on everything anybody posts, it’s much lower than you would expect because of saturation. The “social” part of social media is something that the tech side has not incorporated into how consumers use their platforms. We pass through people’s lives, and we don’t necessarily keep in touch with them every single day. But social media necessitates that we collect people or services and not let them go. Therefore, our lives become extremely cluttered. Any one piece of content is too hard to reach. There’s nothing I can do as a producer. It’s really incumbent upon the platforms to look at why they’re not working for their audience and adjust. Facebook is a perfect example of this. They’ve adjusted in ways that I don’t think necessarily benefit the audience. As somebody who wants to stay in touch with somebody I love — a star or an author — I’m not able to see when they reach out to me anymore without paying. Knowledge@Wharton: Because Facebook doesn’t broadcast all posts to all followers? Day: Because it doesn’t broadcast all posts. Because people are saturated with too much information. Because they don’t let go of it — they just accumulate. It’s like hoarding. We’re all social media hoarders. It’s too much of a social repercussion in our real life to let go of somebody because they’ll notice that you’re not following them anymore. It’s almost like everybody just wants to start from scratch. That’s why we’re so relieved when we get a new service — because we start from zero. Knowledge@Wharton: Except we never let go of the old ones, so now we’re doing the new platform plus all the other ones. Day: Exactly. A lot of people are reaching saturation. It’s up to greater tech minds than mine to help the people parse that in a more useable way. Knowledge@Wharton: As others have pointed out, the actual customers of most social media platforms are not the users — they’re the advertisers. Many of the recent changes are to serve that audience. Day: Yes. But that happened to MySpace, and look where MySpace went. These services are providing audience. So, if they lose audience, then they have nothing to offer the advertiser. If you give the advertiser everything — then they’re going to alienate the audience that they want to reach. So, it’s chicken and the egg; it’s recursive. Knowledge@Wharton: Now that putting video online is relatively easy, is this a golden time for content creators? Or is it more challenging because there’s so much material online that it’s hard to break through to get your content seen? Is this the best of times or the worst of times? Day: It might be the best and the worst. But I can’t say that it’s the worst in that, yes, you might have a hard time reaching your audience, but you have the ability to reach them. There is a chance. It might be a slimmer chance than it was five years ago, but you definitely have the opportunity. Twenty years ago if you had a TV show idea or a stand up act, if the mainstream didn’t want it you were never going to service any more than the people in the room with you. So, yes, it’s an amazing time. Is it easy? No. But it wasn’t easy for “The Guild” either. It wasn’t as if it just happened organically for us. Knowledge@Wharton: Is there advice you have for somebody who’s creating content and wants to get seen and find a way to monetize it? Day: Well, YouTube will let anyone monetize if you build up enough audience, with their producer partner [program], which is fantastic. If you have a show that you want to partner with somebody who’s already established, that’s an option. If you’re going to do it yourself, you’re getting into the business of audience management. Know that you have to be on 24/7. And make sure you’re doing something you love enough that it doesn’t become work to maintain your audience — something that you’re passionate about, that would drive you every single day to get up and be excited to interact with people around. That’s really the key to YouTube and online content in general. Knowledge@Wharton: Despite your successes, are there times you’re discouraged, times when you think, “This isn’t going to work” or “I can’t do it”? Day: Oh yeah — every single day. “Geek and Sundry” has been an amazing journey. The volume of material has been overwhelming. Being able to scale it and find the right personnel on the budgets we have has been difficult. For me as a creator, it’s been very hard to be so in touch with my audience on a constant basis and still keep my own creative voice strong, without being distracted by the thousands of disparate comments. I think the biggest lesson I’ve learned is segmenting the business mind from the creative mind, because when they start to bleed over into each other too much, you’re compromised. It’s two different mindsets, two different approaches. It’s hard to flip back and forth between the two. Knowledge@Wharton: How do you keep them separate? Day: I have had to put the blinders on. I’ve had to focus on the things that I think are special in what I do — which is more the creative side. That’s why I have a very strong business partner to handle the business side. Knowledge@Wharton: What’s been your biggest disappointment? Day: I guess my biggest disappointment, on a personal level, is that I haven’t been able to write as much — although I’m getting back to that. I’ve had to cancel a few friends’ shows, which was very tough on me personally. It was a business decision that had to be made. The audience was not large enough for the shows to sustain the budget levels. I wanted people to enjoy them — and a lot of people did enjoy the shows — but unfortunately, not enough to justify picking them up for another year. That is a disappointment. The cold reality of business trumping creative was a big grown-up lesson to me. That’s why, as we go forward, we’re committing less up front to shows and we’re willing to try things. You can’t have everything be your baby because if everything is precious to you, then every single setback is a blow. So, I guess that’s my biggest lesson. Sometimes you have to put the objective hat on. Knowledge@Wharton: Was it hard for you to go from being a creative individual — who had control over everything — to managing a larger operation? Day: Terrible. I will be frank with you — that is not my best role. That is why I’ve separated myself entirely from that part of the business. I loved running my show. That’s a much different role than running a business and [overseeing] personnel that are in the office every day. The thrill of making content is why I’m in this business. And the thrill of running the business is my partner’s thrill, so it’s a good combination. Knowledge@Wharton: Of all the work you’ve done, what are you most proud of? Felicia Day’s web series, ‘The Guild’. Day: I’m proudest of “The Guild.” I think we created something that was definitely a high for my career. It was a phenomenon. You can’t duplicate that every day. It bashed down so many walls. It was a moment in time that, I think, could only happen then — only with that subject matter, probably only with me at the helm and my partner, Kim Evey, [and I] doing everything the hard way, learning and getting better every single step of the way. As far as a life lesson, “Geek and Sundry” is an amazing accomplishment. Through so many hard times — start up growing pains — we’re here. We’re actually doing really, really well. We made it through that hard first year of adjustments and learning what you do best and what you don’t do best. And figuring out how to work with people on a business level. I feel like I’ve come through a very difficult time with an amazing team, and I’m excited about the future. But it was definitely hard in the short term. Nobody told me that it would be that hard. Knowledge@Wharton: Would you have done it if you had known how hard it was going to be? Day: I don’t know. I think I would have, but it would have been very nice to know a couple things before hand. Knowledge@Wharton: What do you wish you had known? Day: I wish I had known that I couldn’t be a creator on so many shows and still have my hand in all the logistical operations of the business. In signing up [to do “Geek and Sundry”] I thought, “I’m going to make six, seven, eight web series.” I didn’t realize the infrastructure [required] to maintain that. I wish I’d appreciated that more. We could have brought people on board earlier to shoulder that burden. We could have avoided some things that were difficult to get through. We definitely made it through, and I learned more about myself and about how I work than I ever could have if somebody just told it to me. I’m a better person now and, I think, a happier person having come out of some of the darkest times in my life, having gone through this process. So, I can’t regret one step of it. In retrospect, there are so many things I learned. And I guess in this life, if you’re not learning, you’re dying. It is interesting indeed. Thank you !